Club President Jenny Johnstone said the club membership is growing, thanks to ABF Accredited Teacher Dot Reed’s beginners’ classes. “Our teacher, Dot Reed, keeps the beginners under her wing for ten weeks. This includes basic beginner lessons and some revision/supervised play,” Jenny said. “During this time, she also offers catch-up lessons at no charge to students who miss a lesson or who have trouble comprehending and need extra practice. Dot’s husband, Geoff, is of enormous help and attends at each lesson. Following the ten initial weeks, beginners are encouraged to attend supervised play sessions. Directed by Mike Stokie, every second Tuesday session a 20 – 30-minute lesson to help players prepare for the next level of play. “People are encouraged to attend Tuesday supervised play and one other session – often with a mentor (playing buddy), for a period of 4 weeks and usually Wednesday evenings,” Jenny said. “This has increased numbers attending and allows the newer players to play against better players in order to improve. It has resulted in a group of players of mixed abilities. A strong education focus is partnered by the club’s efforts to market their beginners’ lessons and events. “This year our congress has attracted more restricted players than ever before. A concerted effort was made using special flyers advertising the event, as well as a personal approach to new players,” Jenny said. Geelong also has a strong history of competing. Like many clubs, Geelong initially rented space, before purchasing the current club rooms. “By carefully managing the club’s finances $10,000 was saved and in 1981 this acted as a deposit on a double block of land at Newcombe costing $25,000. In 1984, money was raised via members taking out debentures, to finance the building of our club rooms,” Jenny said. This unusual method of club financing paid off, with all money paid back in 1993. In 2017, the club room was renovated. However, space is still available for the extension of the club rooms and additional car parking if necessary. The additional space may be required sooner rather than later, thanks to Geelong’s welcoming stance to visiting players, its popular social events and the arrival of more sea-changers in Geelong. “A standby player is rostered for all regular sessions, except for events that require pre-registration,” Jenny said. 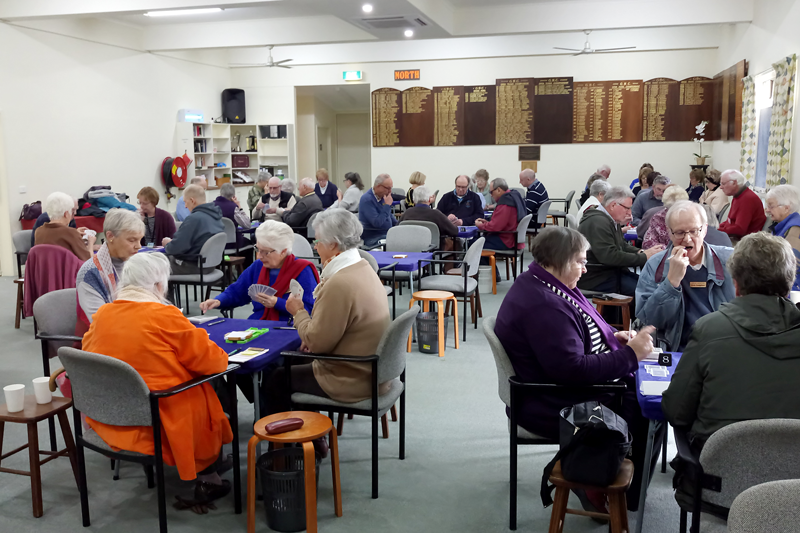 The club’s Pizza Sundays, held once a month, have also proved popular with newer players and older players alike. Play starts at 4 pm and pauses at 6 pm for pizza and wine, followed by the completion of movement, finishing around 8 pm. 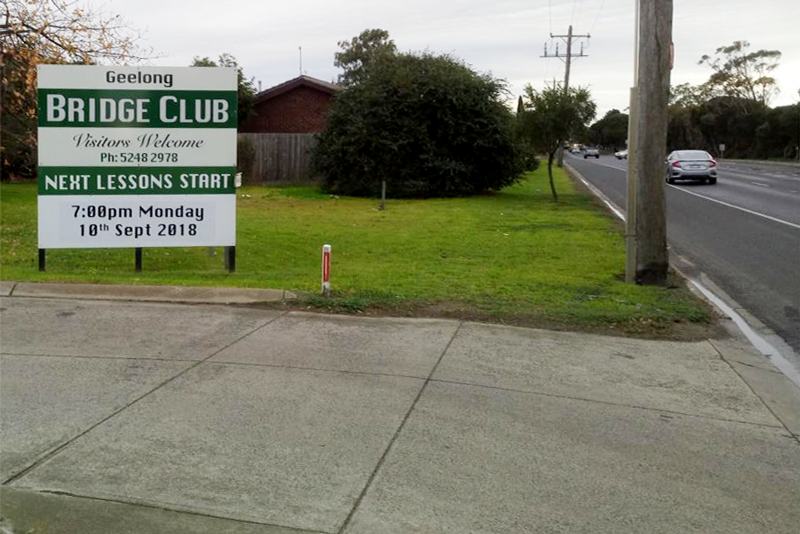 Geelong’s efforts to build a strong club were recognised at the recent Victorian Bridge Association excellence awards.